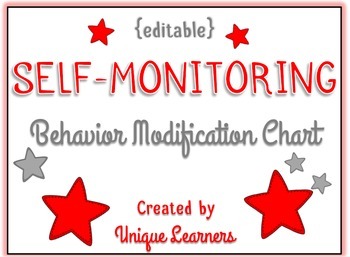 Are you looking for a tool to help your students gain more awareness of their behavior? 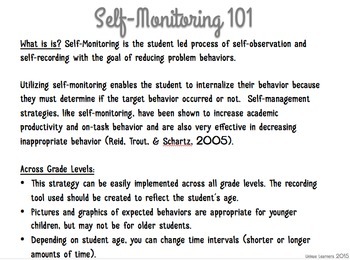 Self monitoring is an evidence based practice that enables students to positively change their behavior. 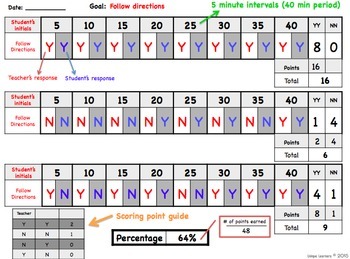 I have found that this system is extremely effect for my students who are impulsive and need help developing their self-regulation. 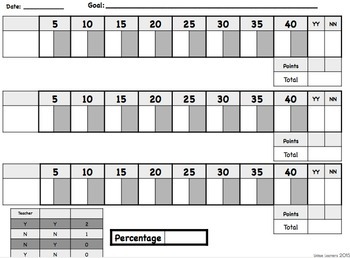 Self-monitoring had serious benefits for my students. Don't wait to try it with yours! Please let me know if you have any questions about my product!